I'm back with a new knitting tutorial! Excited? I am! 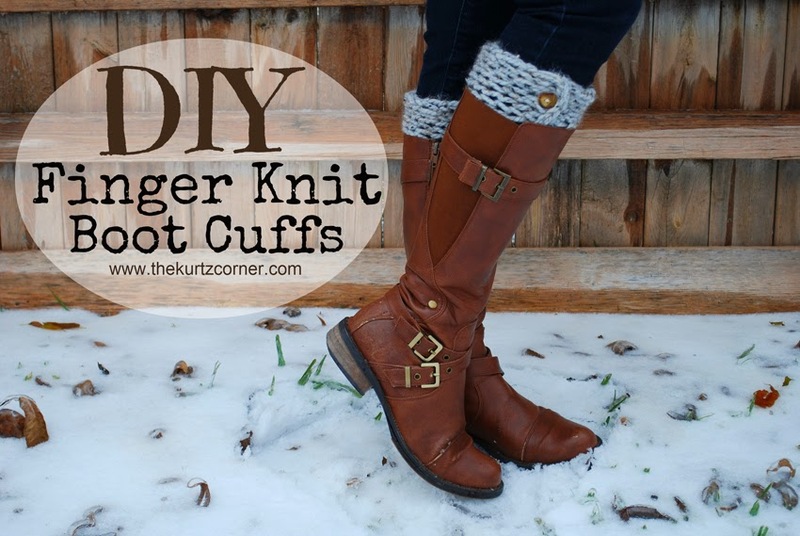 I made those boot cuffs in 30 minutes with just my fingers!...Okay you'll need some scissors, buttons, needle and thread too, but all of the knitting was done with just my fingers! Pretty cool, huh? I had spotted some boot cuffs that I wanted for Christmas (which I still hope I get lol), but you know me, I thought to myself, "I can make those! "...or something similar. We've been iced in here in Texas for the past few days, yes, I said Texas, so I haven't been able to buy any knitting needles (or send my husband to get them, since I'm on bed rest). Being bored on bed rest AND iced in will lead you to some pretty clever ways of teaching yourself a new skill, so what did I do? I taught myself to knit with shish kabob skewers! It worked, but the things were so dang pointy of course the yarn snagged, so I switched to knitting with my fingers! I've seen finger knitting before, but never done like this! Using a simple Knit Stitch (forgive me if you've been knitting for years and I'm totally wrong) I created my very own boot cuffs, fo free!! I already had all of the supplies and all the time in the world. I think they turned out pretty darn cute! Of course you can accomplish this using knitting needles or crochet hooks with a much tighter knit result, but I like the loose and chunky look. 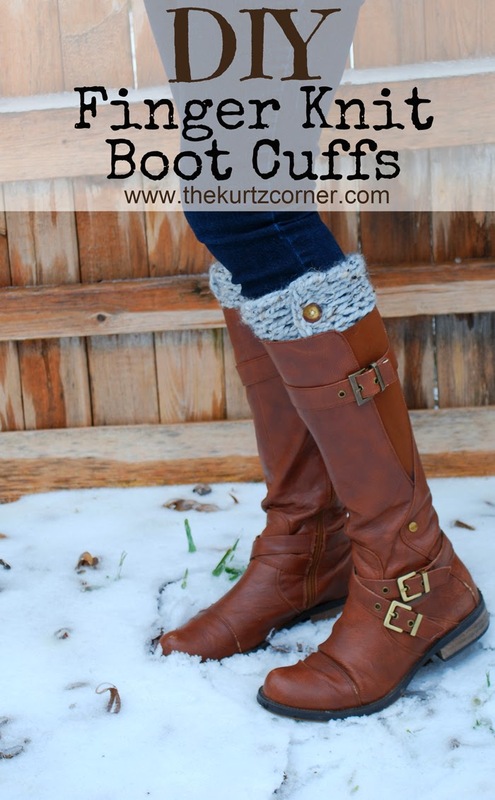 If you like it too, take a peek at the YouTube video I created below for all the steps to create your very own boot cuffs. Happy "knitting!" Annnddd since I'm on bed rest, with nothing else to do than cling dearly to my laptop which provides all of my entertainment for the most part, I decided to come up with a free Christmas printable for you all! With my little one on the way, and a possibility of him being a Christmas week baby, I'm totally in mommy/kid mode! 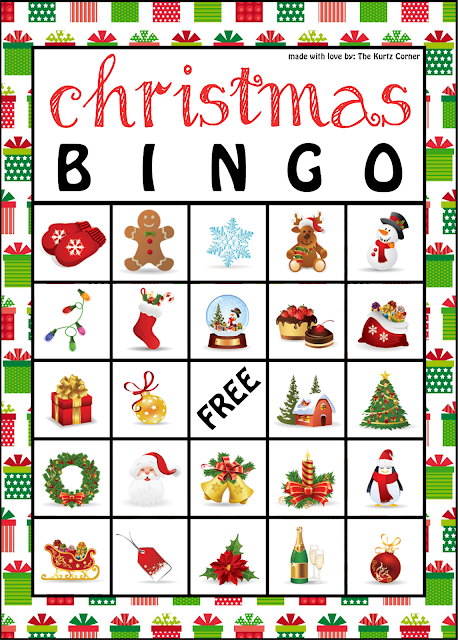 I figured I would create a fun interactive printable and make some Christmas bingo cards! I'm from Texas so we don't get snowed in...like, ever...but I know a lot of you mommas out there live in states where getting snowed in is a yearly thing and having indoor activities is a must...so, here you go! Just follow the links below to download all 5 playing cards and game pieces, enjoy! 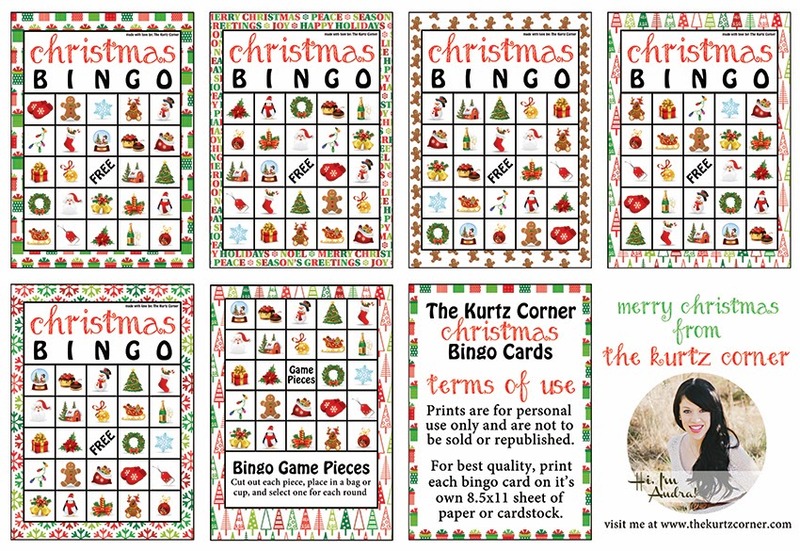 Playing cards are 5 x 7 and formatted to print on an 8.5 x 11 sheet of paper or cardstock.